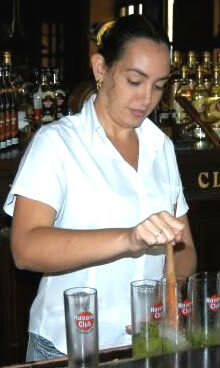 ALES has been providing alcohol server permits to Washington since 1995. Alcohol Liability Educational Services (ALES) has always worked for you, to make the process of obtaining your permit as convenient as possible. We are the happy folks! Our classes have always been clear and concise. We pride ourselves on making sure each student is served well. You will speak with a helpful and kind person each and every time you call. There is no customer service maze to navigate with us. We take pride in taking care of you, like you care for your favorite regulars. ALES has been conducting alcohol server classes throughout Washington State since the law passed in 1995 that required all who serve alcohol to the public to be trained, and obtain a MAST alcohol Servers Permit. Now we are only online. We are local, and have always only served Washington. We are thrilled to be able to offer the convenience of receiving your alcohol server education and alcohol server training online. It can all be done right here, from the comfort of your own home computer, working at your own pace, taking as long, or as little time, as you wish to complete the 3 hour class. Each student is given 30 days to complete the class, and you may log out and back in as many times as you wish. When you complete the class and pass the exam you have the option to immediately print out a “Certificate of Completion.” Your actual permit will be mailed to the address you provide. We have always worked for you, to make the process of obtaining your permit as painless possible. We are server-oriented and have a pro-business focus. We look forward to many more years of serving you!